CertainTeed is pleased to introduce Building Knowledge insights that are focused on the Canadian market. This is the first of many blogs that we will publish with our Canadian experts. Canada represents the highest gypsum use per capita in the world and contributes significantly to sustainable habitat. 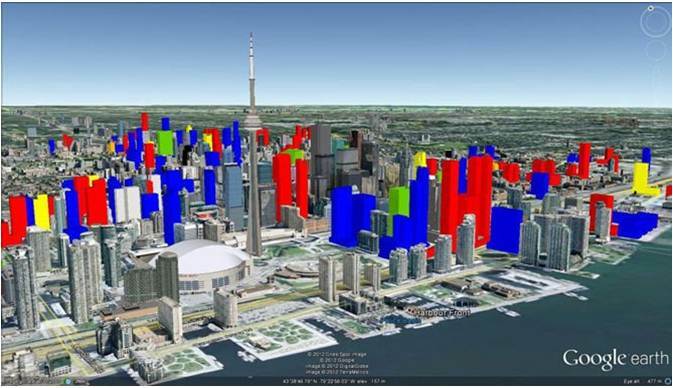 With the implementation of Toronto’s Green Standard (TGS) on January 1, 2014 the game was changed for buildings in Toronto which is the 4th largest city in North America. This Green Standard mandates energy efficiency that will move the needle significantly and make Toronto a leader in sustainability. TGS is a two-tier set of performance measures with supporting guidelines related to sustainable site and building design for new private and public developments. Tier One is mandatory and requires an increase in energy efficiency by 15 percent. Tier Two, which is voluntary, requires a 25 percent increase in energy efficiency above the Ontario Building Code for Part 3 large buildings which is the highest in North America. WHITE = the project has had preliminary renderings, but no application has been submitted. 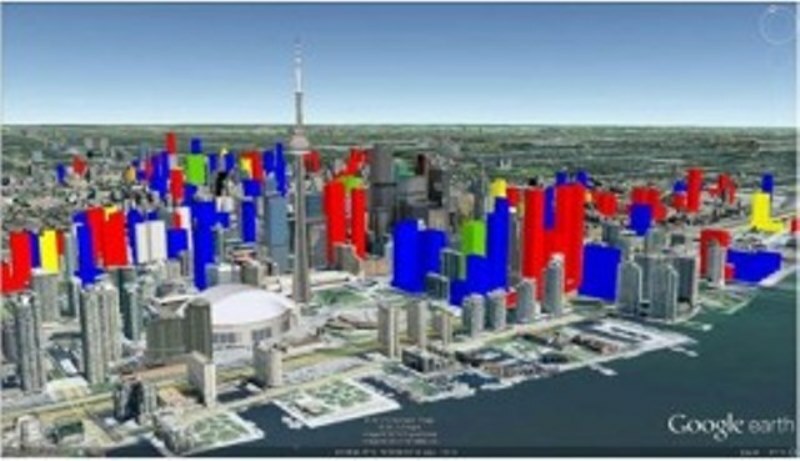 RED = the project has submitted an application to the city. GREEN = the project has been approved, but has yet to start. YELLOW = the project is currently in sales. The challenge is to identify solutions at the pre-design stage. This can be done with various gypsum wallboard products that deliver energy efficiency, improved indoor air quality, better acoustics, mould and moisture control and increased durability with a reasonable percent of window to walls which significantly improves energy efficiency. With the ultimate goal of providing superior comfort and health for building occupants manufacturers are solving critical interior problems in buildings and homes through new innovative wallboard solutions.